Jay Gentile is an award-winning journalist, editor, and publisher with 15+ years of professional experience writing for and editing various newspapers, magazines, books, and websites. Jay is recognized as an expert in a wide array of topics including travel, music, entertainment, food/drink, and nightlife. Jay’s work has appeared in The Washington Post, Chicago Tribune, The Guardian, VICE, SPIN, Lonely Planet, Outside Magazine, Thrillist, Huffington Post, Frommer’s, The Telegraph, Paste Magazine, High Times, MSN, Baltimore Sun, Miami Herald, Orlando Sentinel, San Francisco Chronicle, Rough Guides, Chicago Reader, 5280 Magazine, Time Out Chicago, Vancouver Sun, Kansas City Star, Charlotte Observer, Atlanta Journal-Constitution, Sun-Times Media, Capital Gazette, Where Magazine, Marriott Traveler, Popdust and more. Jay recently joined the staff of Consequence of Sound, one of the world’s top music websites with more than 5 million readers per month, as Digital Marketing Specialist. Jay is also the Publisher/Editor-In-Chief of Chicago INNERVIEW Magazine, a monthly print and online music publication he founded in 2003. In between interviewing artists from Arcade Fire to Ziggy Marley, Jay also manages and mentors a full staff of freelance writers in addition to his duties running all advertising sales and business operations for the publication. Jay previously served as Senior Editor at Rundown.com, a daily email men’s magazine and city guide publisher with more than one million subscribers in 10 U.S. cities. Jay edited and managed the publication’s Chicago and Las Vegas editions, where he covered everything from events and new restaurant openings to travel pieces and entertainment profiles. 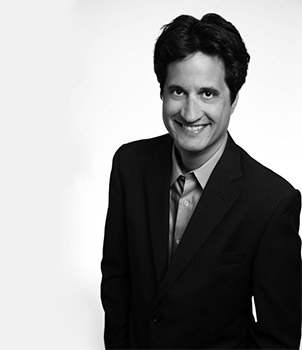 In 2008, Jay was selected to cover the presidential campaign of Barack Obama for his magazine’s Political File. From the Democratic National Convention and the Inauguration to press conferences and trips with the president, Jay contributed features as a member of the traveling press. He also covered Congressional races and the governor’s office. Before that, Jay was News Editor for the Estes Park Trail-Gazette newspaper in Estes Park, Colorado, home of Rocky Mountain National Park. There he covered local government, tourism, police, personality profiles, and features — for which he was granted a “Best Feature Story” award from the Colorado Press Association. Jay has also worked as a staff writer for several Chicago newspapers including Nadig Newspaper’s Chicago’s Northwest Side Press and Downer’s Grove’s Reporter/Progress Newspapers. As a news reporter, Jay covered everything from local school board meetings to murder trials to interviews with Rahm Emanuel. Jay’s work also has included writing freelance ad copy for Sennheiser Electronic Corporation as well as keyword-focused SEO articles for ticket broker TiqIQ, in addition to providing writing/editing services for a variety of clients including local music festivals. He currently serves as a guest lecturer at Columbia College’s Department of Journalism and holds a Bachelor’s Degree in Journalism from the University of Illinois at Urbana-Champaign. Jay has contributed to several books including Lonely Planet’s upcoming 50-state guidebook Hello America and Where Magazine’s 2019 Chicago Guestbook. Jay was also recently asked to submit a testimonial as a local industry expert for the book jacket of ABC reporter Steve Dolinsky’s new book, Pizza City USA: 101 Reasons Why Chicago Is America’s Greatest Pizza Town, which you can read here. Jay has traveled extensively to 30+ countries across five continents and currently resides in the Wicker Park neighborhood of Chicago. You can read recommendations and more about Jay Gentile by visiting his Linked In page or Muck Rack profile, and listen to an interview with Jay on WGN Radio as well as a more recent radio interview with Jay on local NPR station WBEZ.